I know I’ve been kinda quiet this year, but it has all been worth it. In January, I told you that my word of the year was “focus”, and I’ve done just that. Not only have I focused my time on one niche idea, but I have a site with a much more focused audience. Boy did it pay off when I launched my courses. 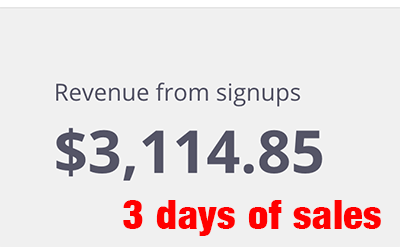 Last Thursday, I launched my courses for my new site Passive Shirt Profits, and the results in the first week have been so encouraging relative to past product launches. In the first 3 days, I made more than I did in the entire month when I launched my affiliate course on Udemy. And the orders are still rolling in! It’s not about the size of the list, but the quality of the list. Plus, you have to offer something that people really need and want. And I didn’t even do a lot of promotion! Imagine had I been active on social media and pushed this hard. Anyone who has been following me long enough knows that I’m just not a big social media person (especially Twitter). I do have a virtual assistant candidate lined up. It might be time to start using her. Like they always say, a true businessperson focuses on what they do best and outsources what they don’t. This is one of those topics that deserves a podcast, blog post AND video. I’m starting with a podcast, but will do all three to make sure I get the lessons out in as many forms as possible. Unfortunately, I had a sudden death in the family, so I wasn’t able to get the others done. 🙁 But I will be getting those out as soon as I can. I did so many things differently compared to the launches here with 2 Create a Website. 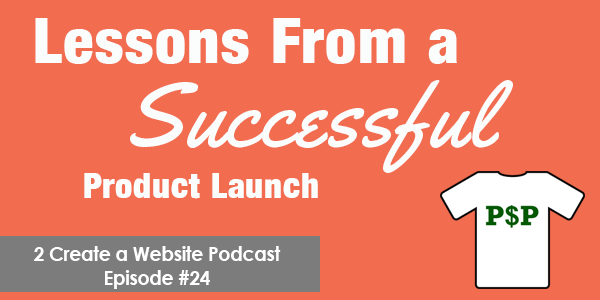 So if you have never launched a product/course before or have had failed launches, you’re going to learn a lot! I am thrilled that you had a successful launch! I am a firm believer that quality will always triumph over quantity. Plus, being a data geek, I’ve seen my fair share of case studies supporting this notion as well. I’d rather have a small list of people eager to receive my message than a large one. At the end of the day, it’s all about conversions. I’m so glad you are enjoying Thinkific! I owe them a review as well-LOL The entire staff is amazing! I’m digging your new podcast as well. Thanks again for always providing quality information. It is very much appreciated. Continued success! Agree! It’s not about the numbers at all. I get so tired of reading posts about growing your list. lol I never had issues growing my list but having everyone on the list with the same wants and goals was what I was lacking. I’m so glad you are enjoying the podcasts, LaTosha. Thank you so much! Thank you for turning your comments on this post! I thought you had decided not to accept comments anymore. LOL! Thank you so much for the inspiration and informative podcast about what you did right/wrong. I love it when people share what works AND what doesn’t. Thanks for emailing me about this and commenting! I thought it was odd I had no comments after so long. Now who knows what kind of comments I missed. 🙁 For some reason the Allow Comments box is not checked automatically on pages and I don’t know why because my setting don’t indicate that.